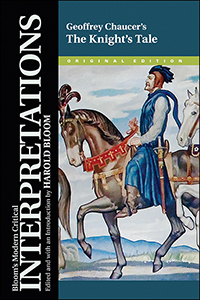 This is an electronic version of the original edition of this Bloom's Modern Critical Interpretations title, containing all the classic essays published in the first print edition. Harold Bloom is Sterling Professor of the Humanities at Yale University. Educated at Cornell and Yale universities, the books he has written include Shelley's Mythmaking (1959), The Visionary Company (1961), Blake's Apocalypse (1963), Yeats (1970), A Map of Misreading (1975), Kabbalah and Criticism (1975), Agon: Toward a Theory of Revisionism (1982), The American Religion (1992), The Western Canon (1994), Omens of Millennium: The Gnosis of Angels, Dreams, and Resurrection (1996), and Shakespeare: The Invention of the Human (1998), a 1998 National Book Award finalist. The Anxiety of Influence (1973) sets forth Professor Bloom's provocative theory of the literary relationships between the great writers and their predecessors. His most recent books include How to Read and Why (2000), Genius: A Mosaic of One Hundred Exemplary Creative Minds (2002), Hamlet: Poem Unlimited (2003), Where Shall Wisdom Be Found? (2004), Jesus and Yahweh: The Names Divine (2005), The Anatomy of Influence (2011), and The Daemon Knows: Literary Greatness and the American Sublime (2015). In addition, he is the author of hundreds of articles, reviews, and editorial introductions. In 1999, Professor Bloom received the prestigious American Academy of Arts and Letters Gold Medal for Criticism. He has also received the International Prize of Catalonia, the Alfonso Reyes Prize of Mexico, and the Hans Christian Andersen Bicentennial Prize of Denmark. Please sign in to see your eBook pricing and to be able to add items to your Cart or Wish List.